The Sunflower family is a very large family with over 25,000 members. Botanists subdivide the family into a number of tribes of which 14 are represented in Monterey County, one of these, the Heliantheae or Sunflower tribe, being further broken down into subtribes of which 9 are represented in Monterey County. 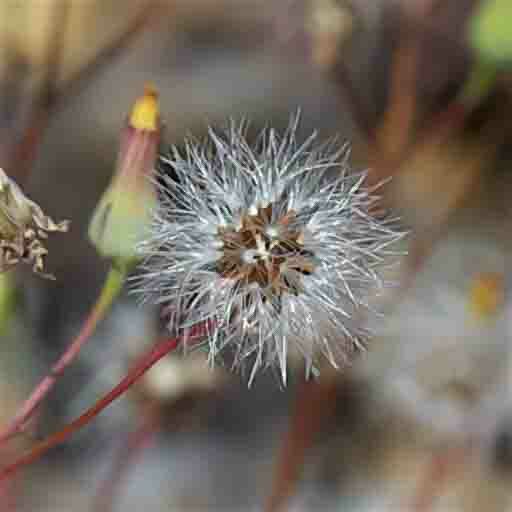 The Cichorieae (Dandelion) tribe has two distinctive features. The first is that they all have stems with milky sap. The second (and more important) is that they do not have disk and ray flowers like typical daisies. Instead they have what are called “ligules” which resemble strap-like ray flowers but, unlike ray flowers, have both male and female parts – without which no reproduction would be possible. Another difference is that ray flowers have 0–3 lobes at the tip; ligules have 5. 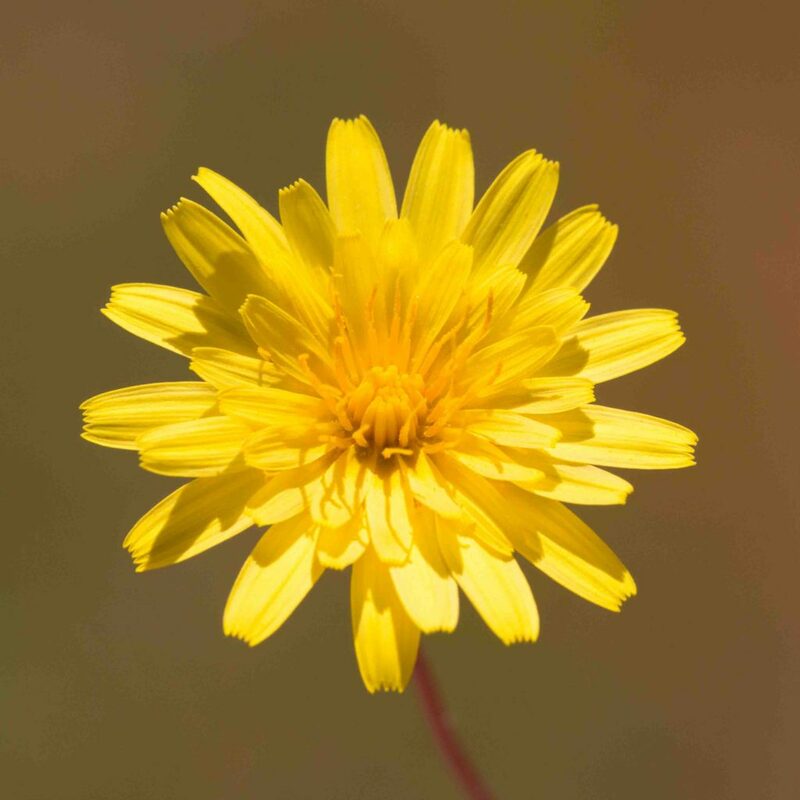 This page covers two native genera, Agoseris and Malacothrix. 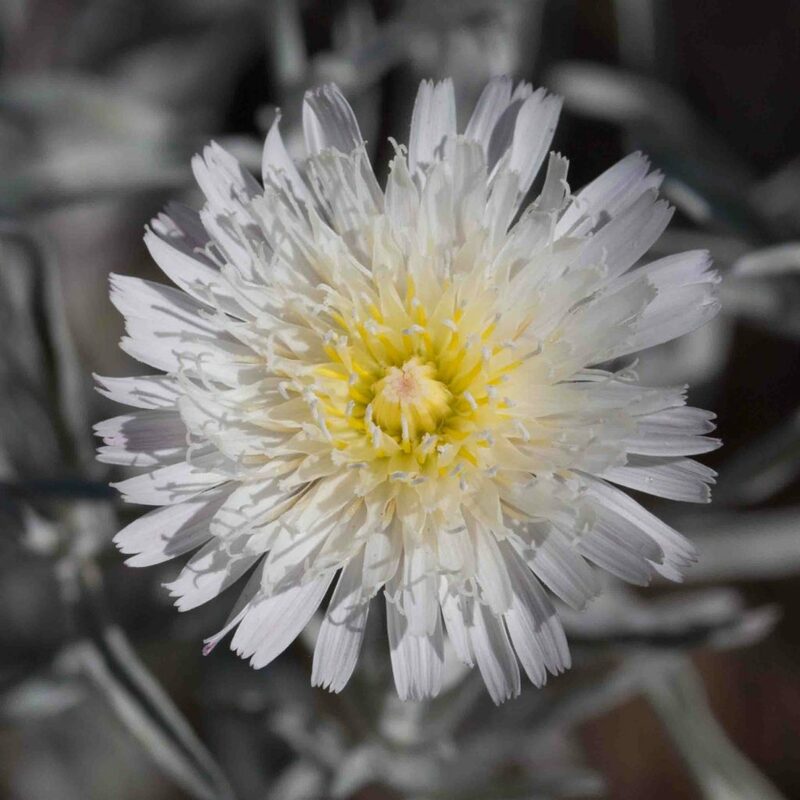 The flower is a typical dandelion flower but the plant is most easily recognized its terminal rosette of leaves which may be half buried or exposed in the sand. 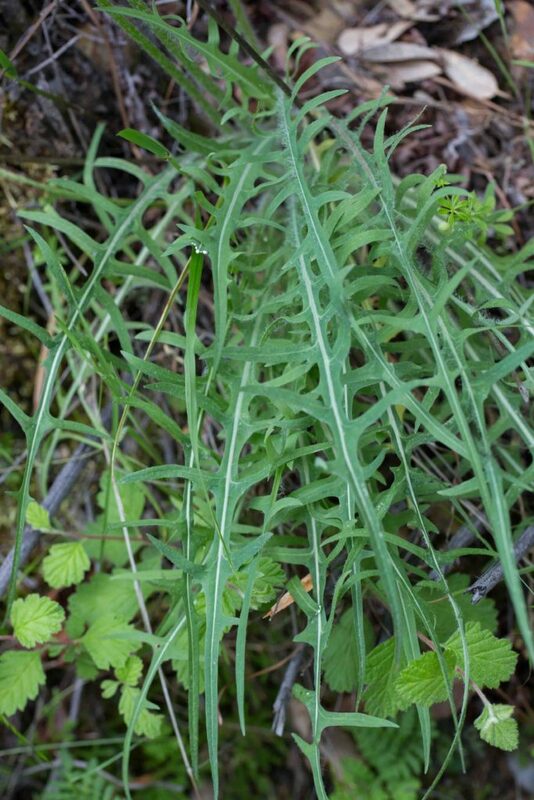 The leaves are bluish-green and usually oblanceolate but may be linear. 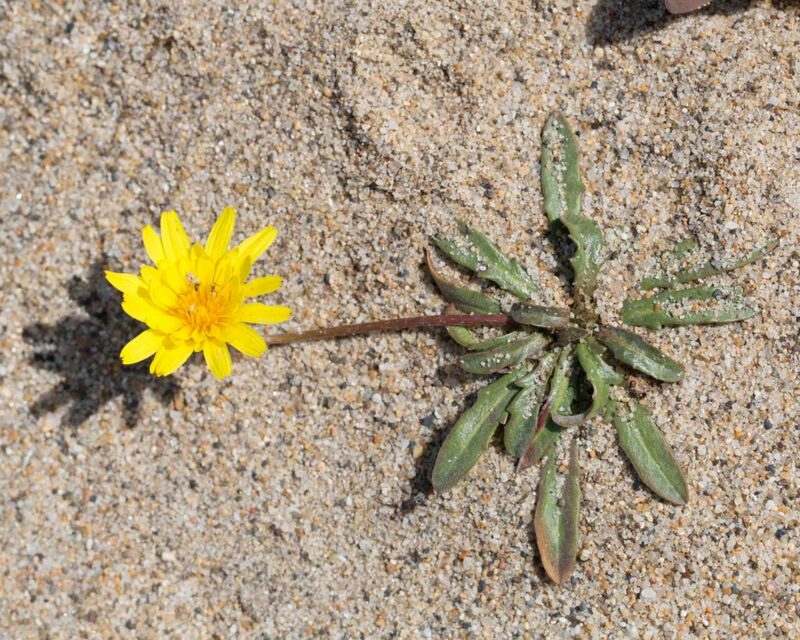 The stem is typically buried in the sand. The peduncle may be as long as 45 cm but is usually shorter. 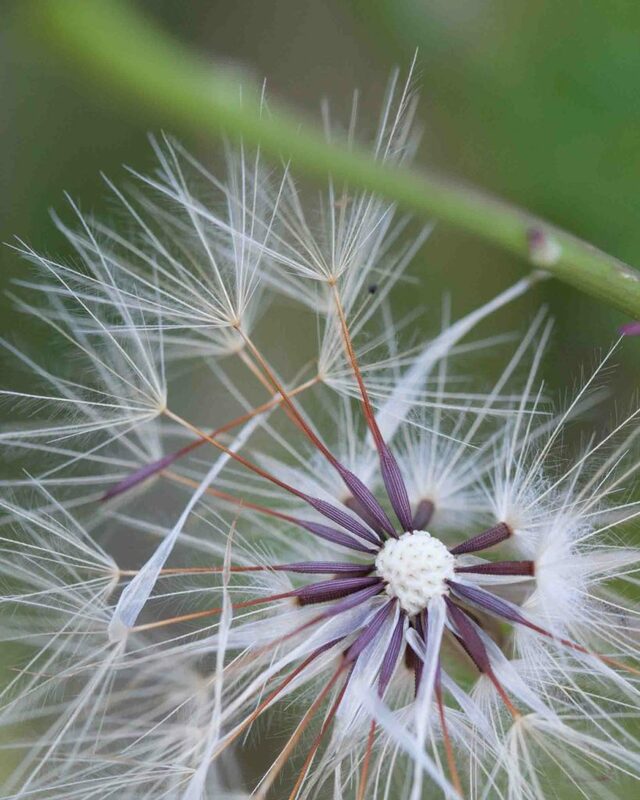 A large, classic dandelion flower. 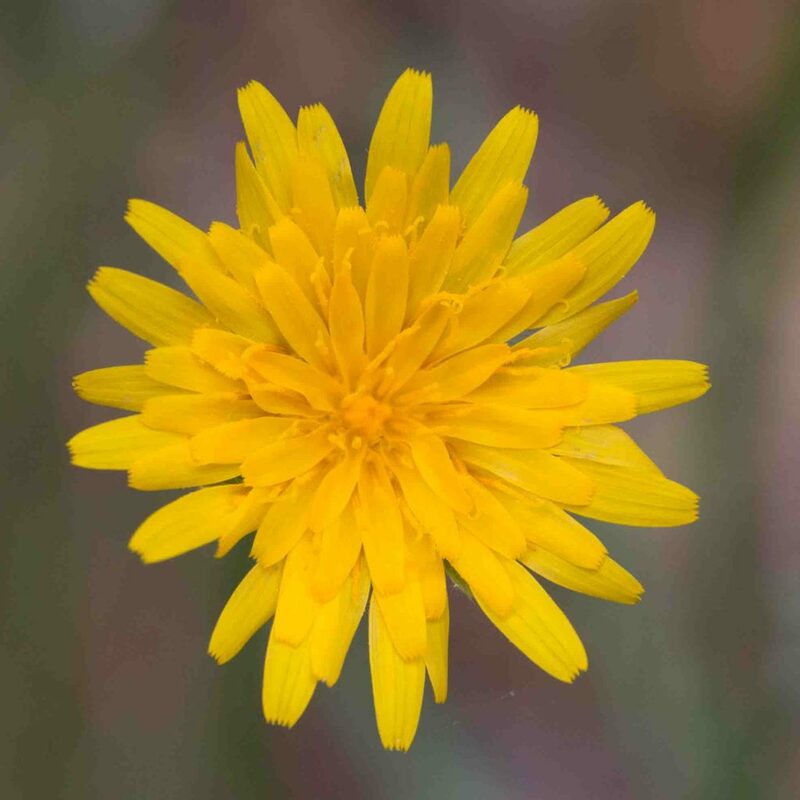 Like all dandelions, the head is comprised of numerous ligules, 150–500 in the case of this species. 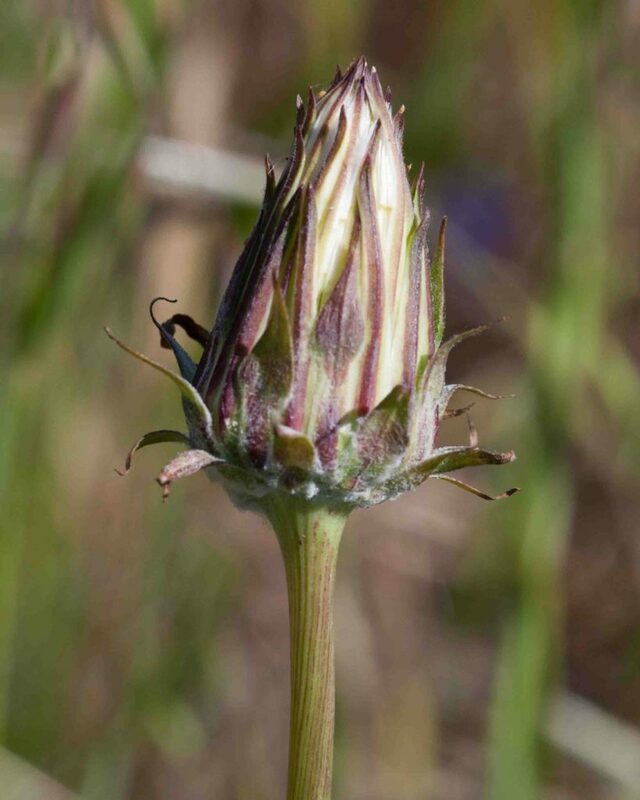 The bud has a tomentose base and is long and gently tapered with slightly recurved phyllaries. The beak of the fruit is normally 3–4 x the length of the body and tapers into it. 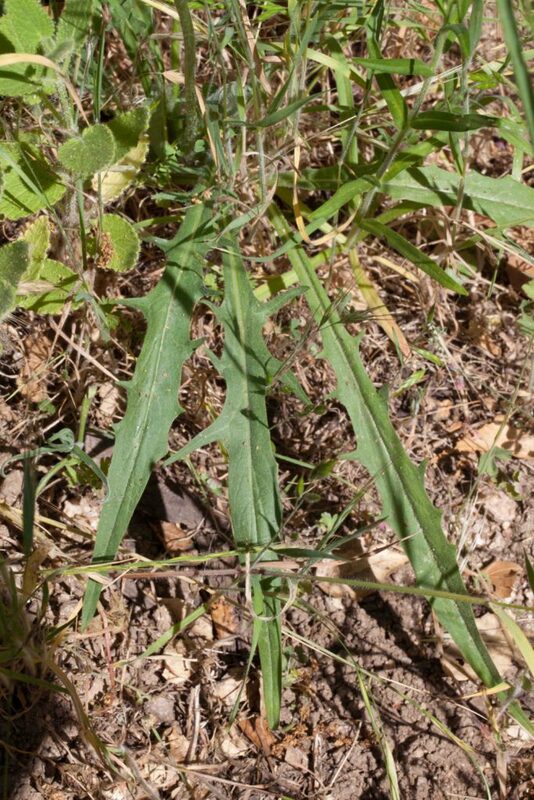 The long, oblanceolate leaves have sharp teeth either at right angles to the leaf or pointing forwards (an important point of difference from the Spear-leaved Agoseris (Agoseris retrorsa). 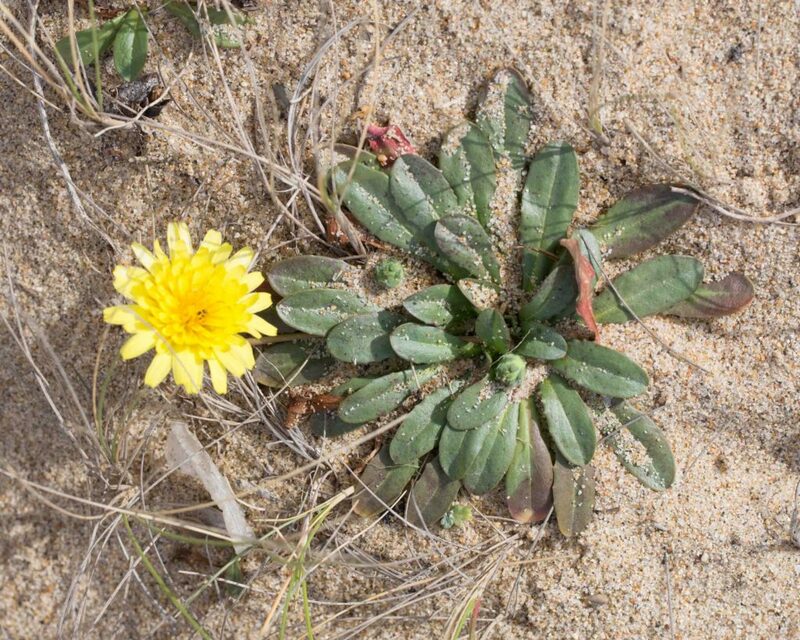 Similar to the Large-flowered Agoseris (Agoseris grandiflora) but many fewer (30–100) ligules. 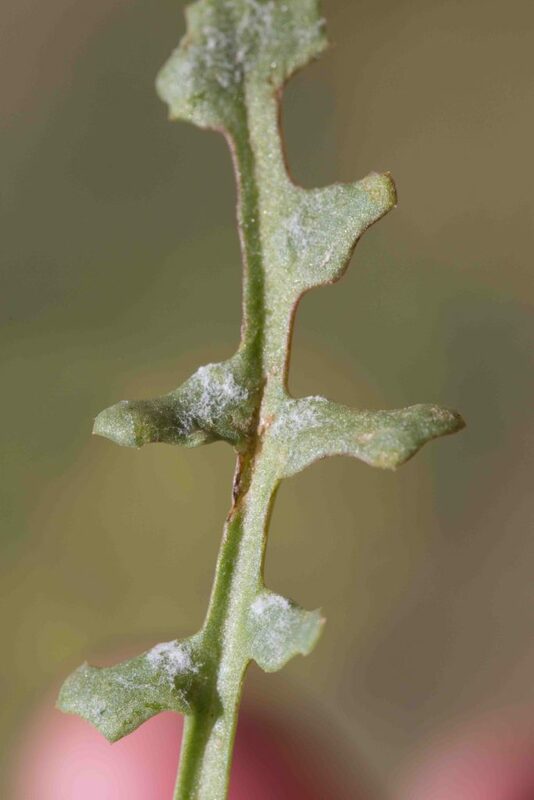 The phyllaries have ciliate margins and are rosy-purple towards their base (except for the margins), occasionally green. 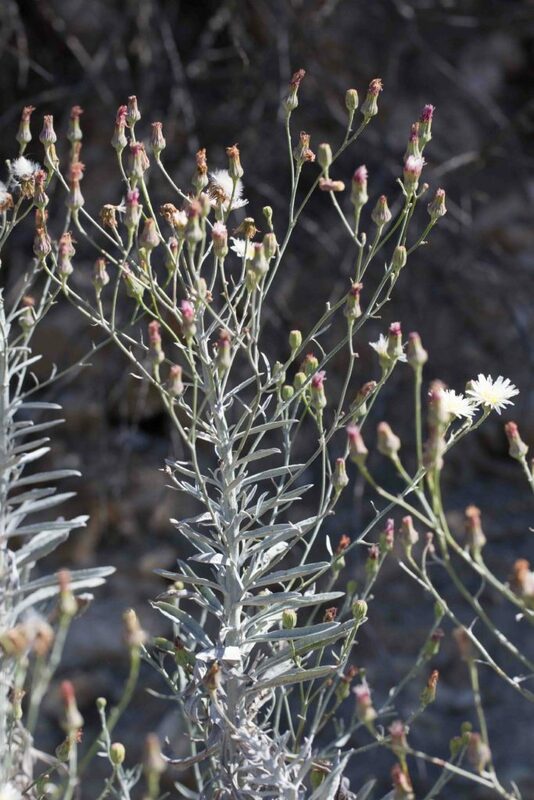 The leaves are spear-shaped, with white hairs and backward pointing lobes. 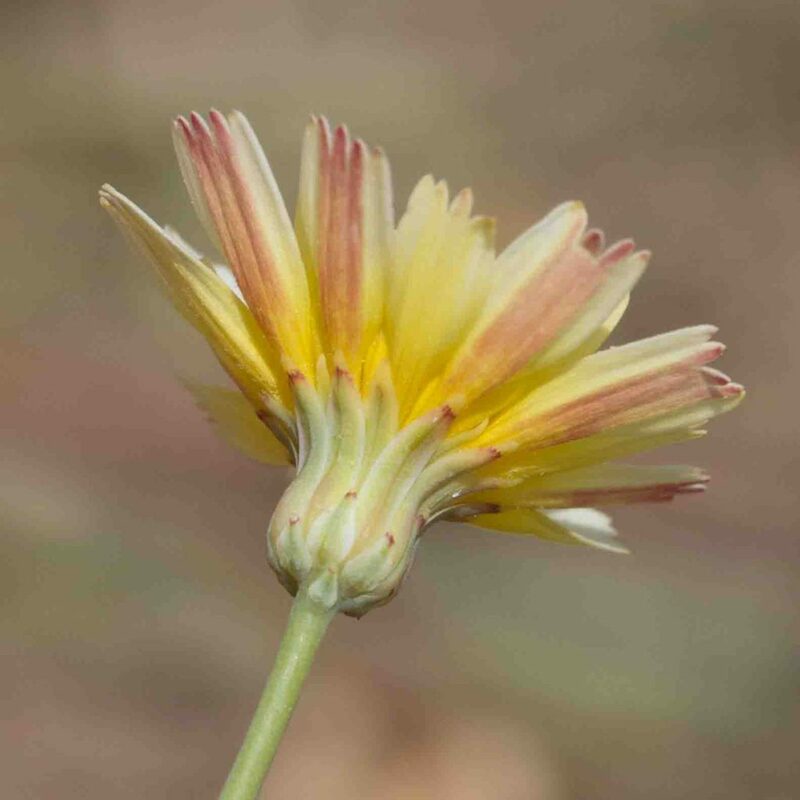 The tip of the fruit is more or less truncate, unlike the gently tapering tip of the fruit of Large-flowered Agoseris. 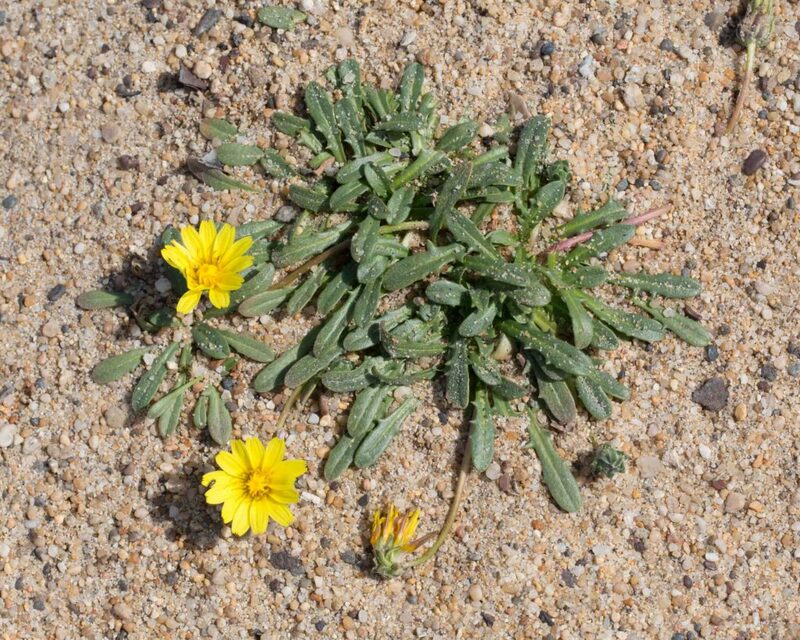 The color of the phyllaries and shape of the leaves differentiate this species from other Agoseris. 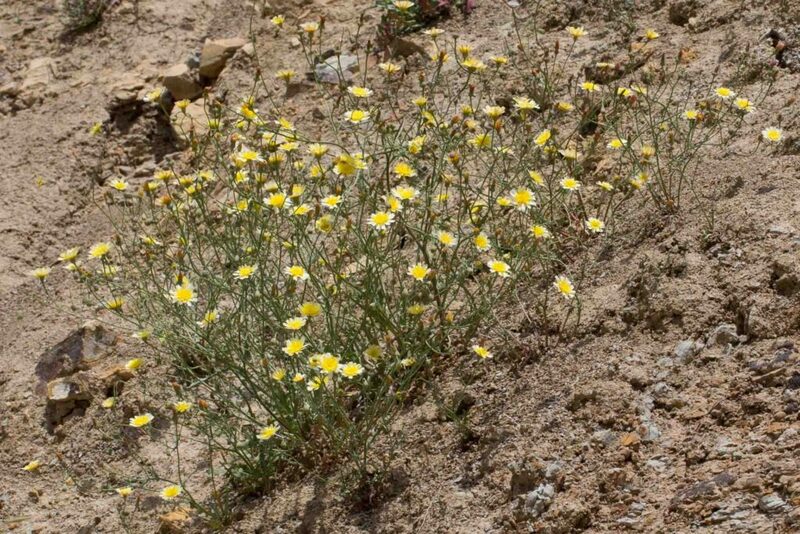 This and Annual Agoseris (Agoseris heterophylla var. 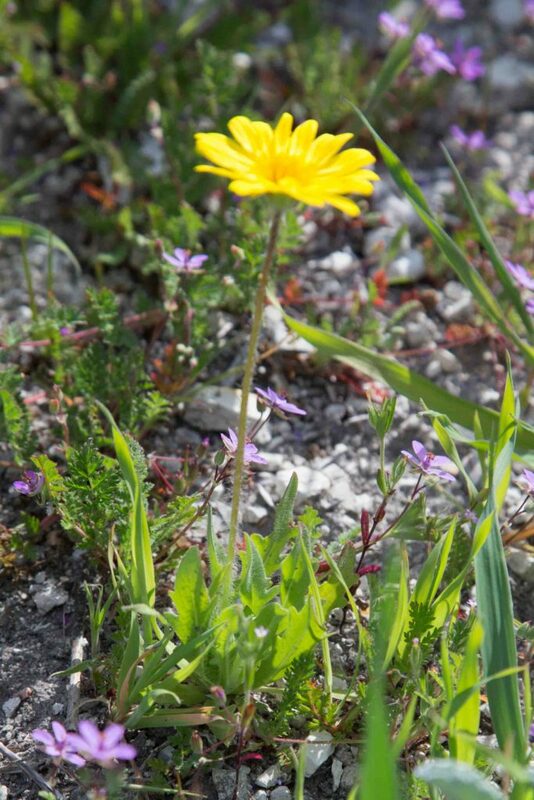 heterophylla) are both much smaller than Large-flowered Agoseris (Agoseris grandiflora) with many fewer ligules. 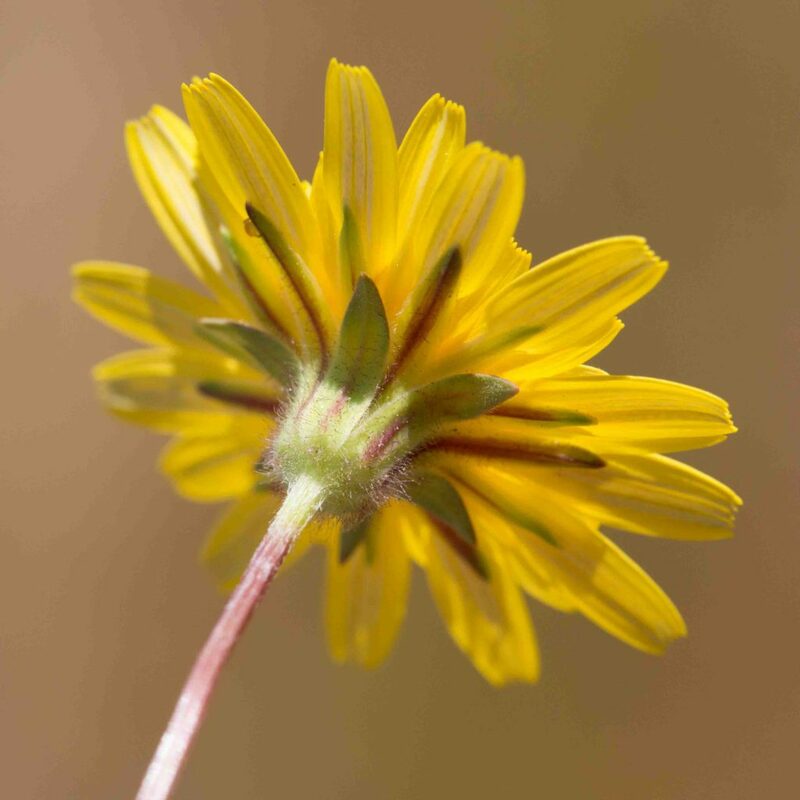 This variety has 20–100 ligules, 10–15 mm long, much longer than the involucre (Annual Agoseris has 20–50 ligules, 2–6 mm long, more or less equal to the involucre). 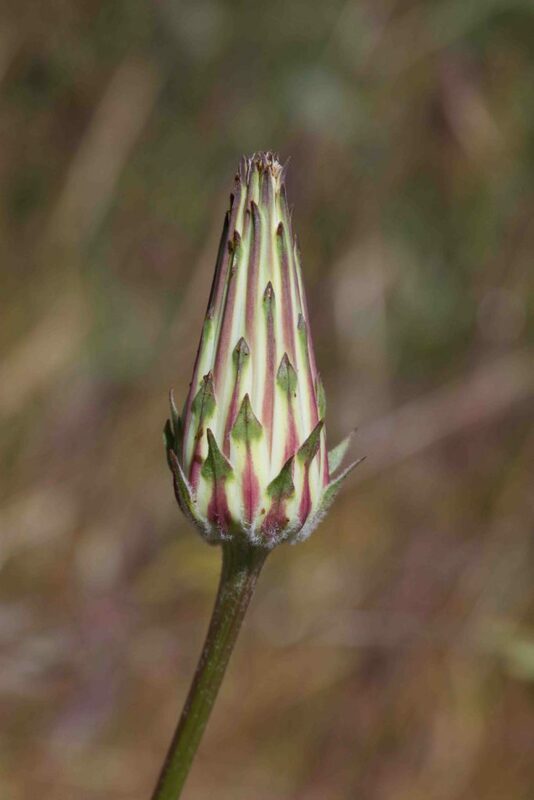 Phyllaries are green or rosy-purple with green margins. Leaves are oblanceolate; 25 cm long and generally with 3–5 pairs of lobes. This is a leafy, densely tomentose perennial to subshrub, found in very few places outside Carmel Valley. 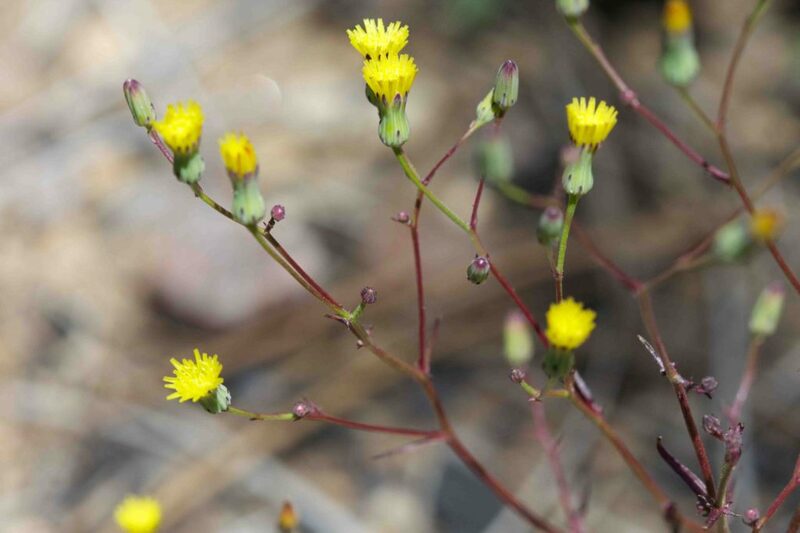 Leaves are narrow, with acute tips, the lower leaves sometimes toothed, the upper entire. 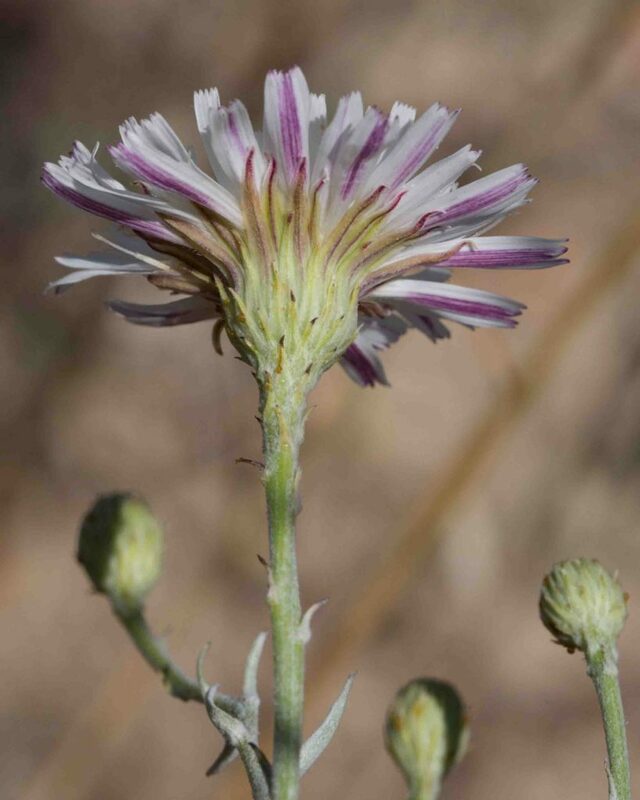 Flowers are white with red or purple stripes on the underside of the ligules. 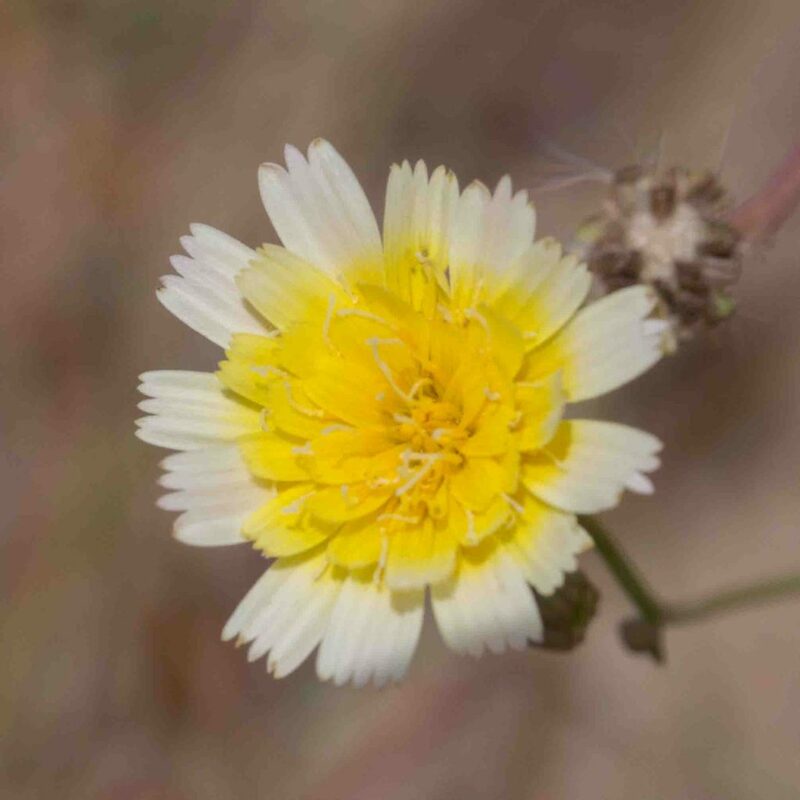 Flowers are white (sometimes pale yellow) with the outermost ligules exserted by 5–9 mm. The underside of the ligules is pale orange-red. Leaves are basal, fleshy and more or less oblong with wide, toothed lobes. 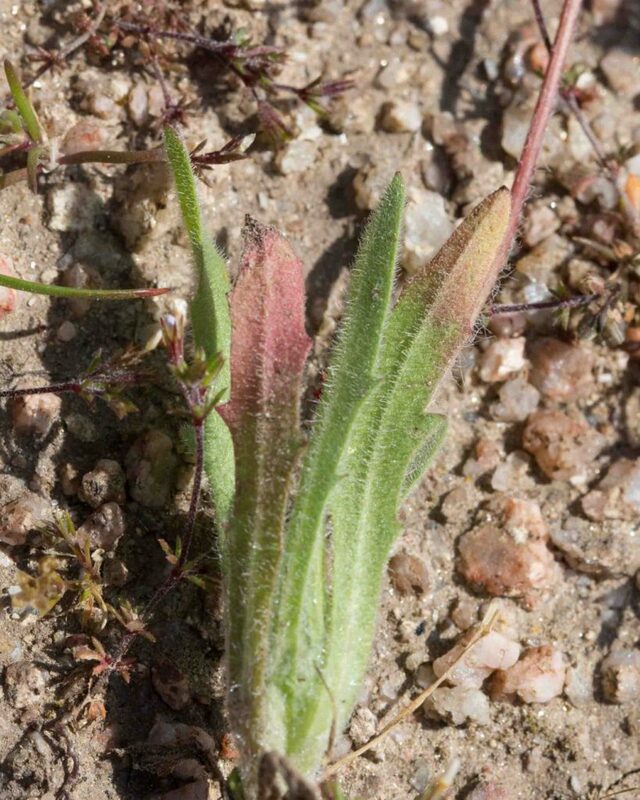 There are woolly tufts of hairs on the undersides of the leaf lobes – hence the plant’s common name. 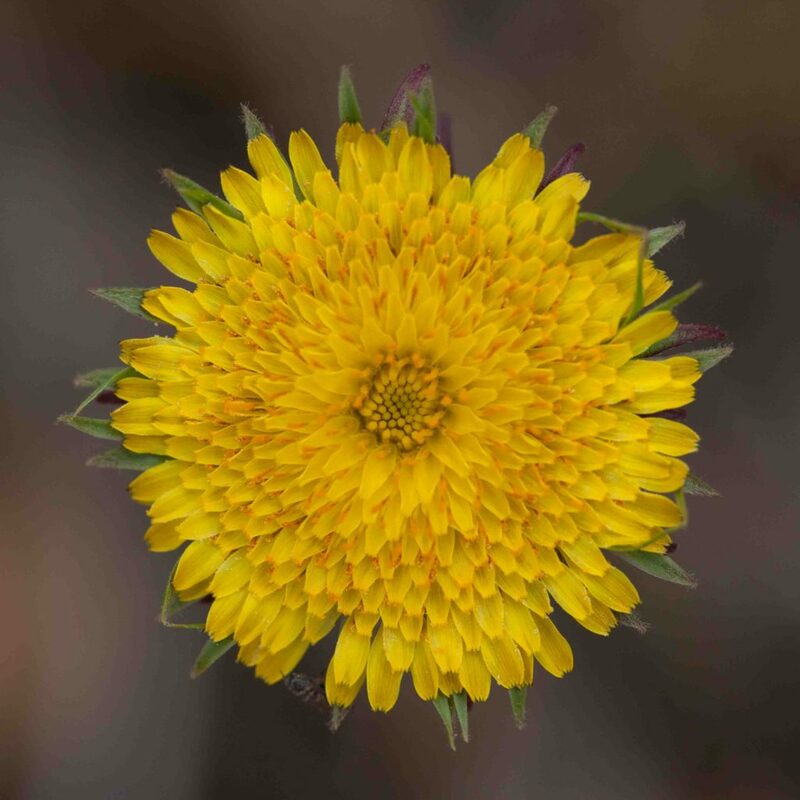 Flowers are smaller than most other Malacothrix. 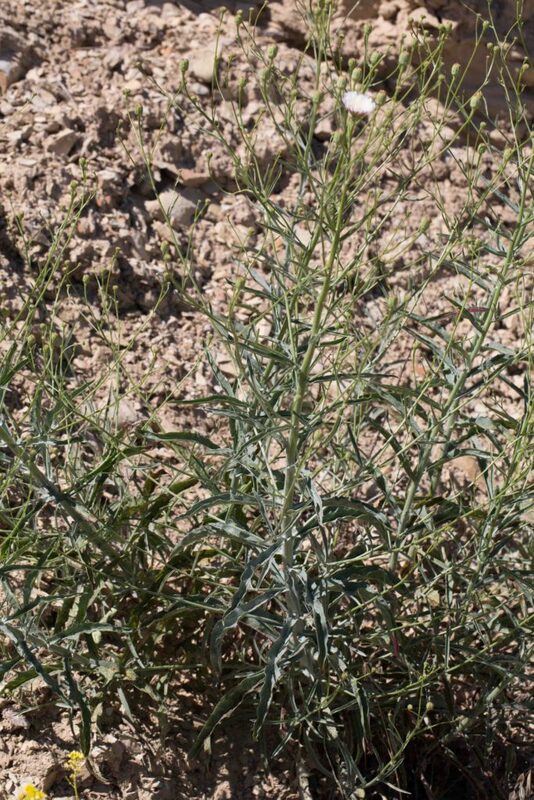 The plant has basal leaves and much reduced cauline leaves. 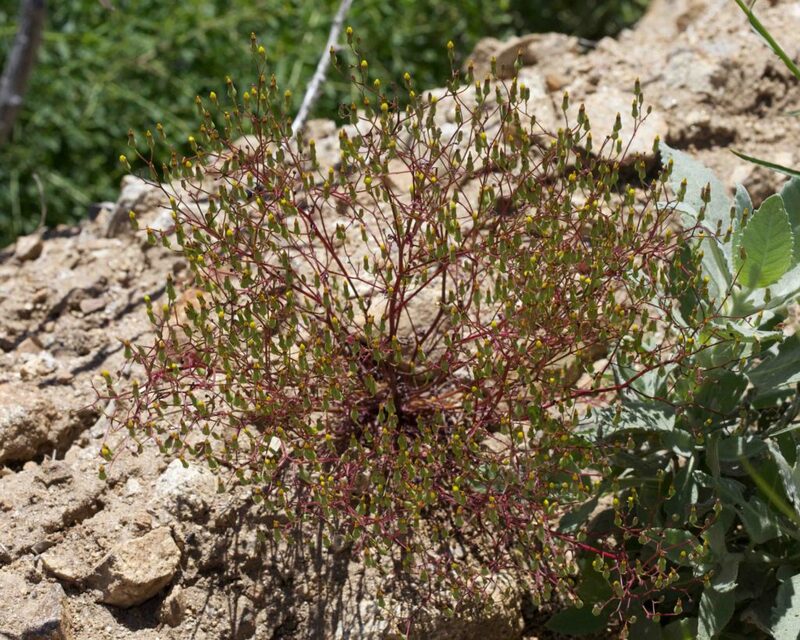 The plant is small and glabrous with many heads at the tips of panicle-like clusters. The outer ligules are slightly exserted. The outer ligules are less than ½ as long as the inner.